We also regularly serve retail, commercial, industrial and government entities. With over fourteen years of experience working with thousands of clients, we are well-equipped to handle projects of all sizes. 1. Preparation of the work site to both project other visitors and to contain the environment. Proper attention is paid to secure the project area to control the site for safety and to ensure the best possible final results. 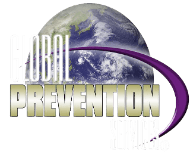 Global will review the site for any current microbial issues and use the proper techniques and equipment to properly prepare the building materials for treatment to include sanding and HEPA vacuuming. 2. An "Advanced Surface Cleaning Solution"
Global will treat the project surfaces as available to include first phase: framing and foundation, followed by a second phase: interior drywall and finally a third phase: interior finishes to include cabinetry and flooring. 3. The Application of the "Microbial Shield"
This controlled application bonds with the appropriate surfaces and provides protection for long-term effectiveness. This critical process is applied at each phase for the building materials then available for treatment. Again, this procedure creates the bonded shield that separates the contaminant from its food source, severely limiting the organisms' ability to thrive and amplify. For the issuance of our warranty, our builder clients engage independent environmental professionals to take samples of the air inside and outside of their property after the third stage of the process. An independent laboratory conducts the analysis of the readings and reports whether the building values are within 'normal and acceptable ranges'. Upon completion of this process our builders know they have taken the appropriate steps to ensure that their offerings are as clean and healthy as humanly possible. Each warranty is then issued upon receipt of acceptable test result(s). The risk for major, disruptive and costly remediation will be mitigated as will the concern for current and future health related concerns.